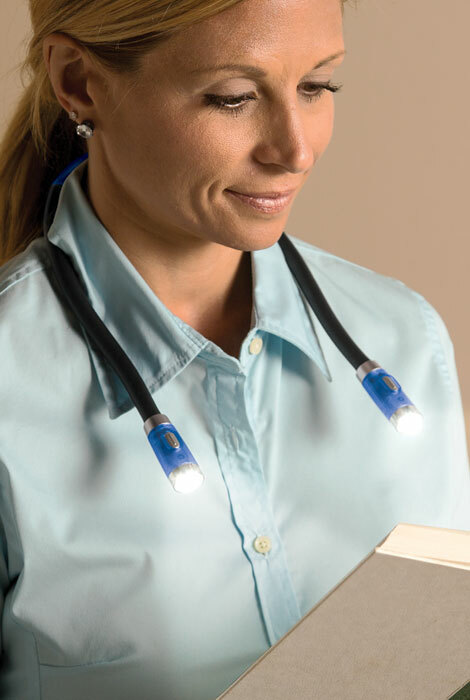 Your smartest new accessory just may be this versatile flashlight you can wear right around your neck. With two flexible arms, the Hug Light positions easily around your neck or wrist, wraps around a hook or doorknob, stands upright on a desk or table. Adjusting to direct LED light exactly where needed, it’s the ultimate book light, and its red light option won’t disturb your partner while you read in bed. 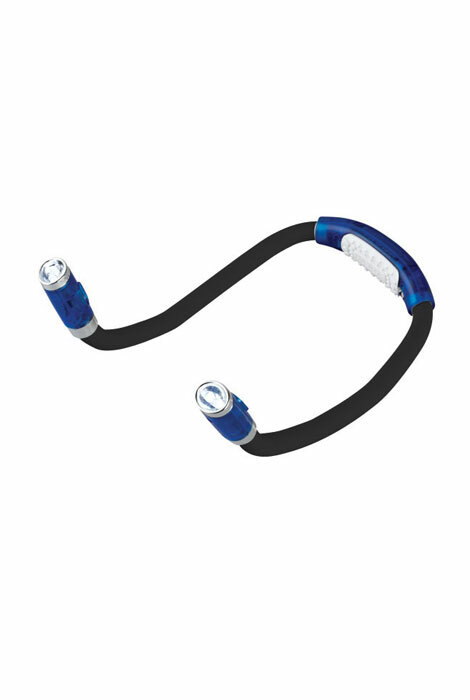 Hug Light also features 3 brightness levels, foam-covered arms, soft rubber-grip neck pad and activity band for easy use while jogging, biking or walking after dark. Uses 2 AAA batteries (not included). Plastic, urethane foam. 23" L.
I think I bought at least 10 of these lights and I'm sure I'll be buying more.They make perfect gifts and are very useful. This is a complete rip-off. The lights are not bright at all! Definitely cannot read with them on. A lit match would provide better illunination than this dim hug light. I do needlework, as well as running props for a community theater, so this looks like it will be very handy. sounds great for reading at night. hands free? love it! ordered one for my husband, too. will let you know how it works. Just wanted a reading light in bed to not disturb my husband. I need more light for reading. This light is great. It has 3 light levels, one being red which is nice and calming and dim enough to wear while my husband is by my side sleeping under my arm. The bending arms are great to pinpoint where I want the light to go. How long do the bulbs last and can they be replaced? BEST ANSWER: Thank you for your question. The Hug Light comes with LED lights, unfortunately, we do not have a time of how long they last, and they cannot be replaced. We hope this information will be of help to you.